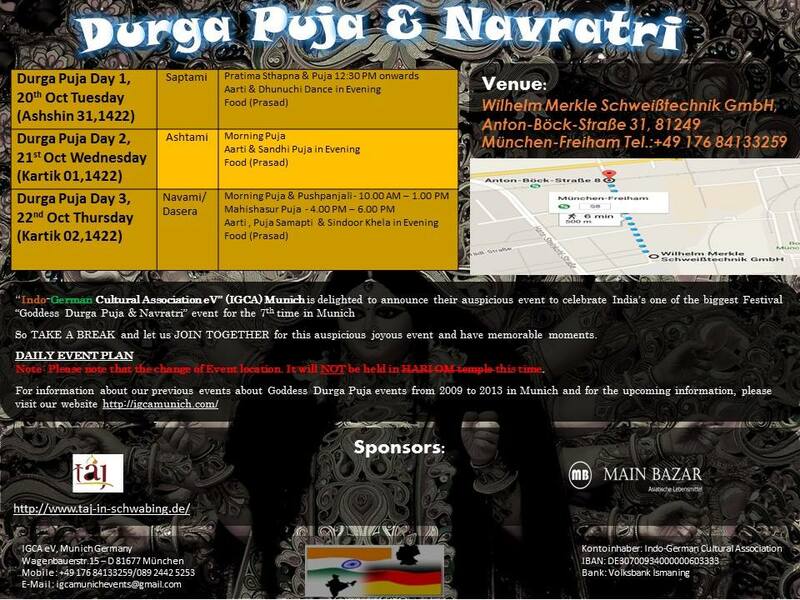 So TAKE A BREAK and let us JOIN TOGETHER for this auspicious joyous event and have memorable moments. But your donations are always welcome. You can donate directly to our bank account mentioned in the footer or donate at the venue. Located in München Freiham, the venue can be reached easily with S-Bahn S8 in 24 mins from München Hbf.